If you recall, I've been all about the Houston Bridal Extravaganza. I'm not getting married anytime soon but give me an excuse to act like a princess and try cake all day and I'm there! My favorite booth in general was the Over The Top booth. They specialize in linens. As a fashion major, I have a small obsession with fabric and textures. I AM OBSESSED with some of the things they do. Keeping them in mind! Lace, sequins, polka dots, stripes-- whatever it is they are awesome and have it. There were lot's of flowers everywhere that I just wanted to take home with me! OMG, cake! So many samples. I learned I love almond cake. I guess its worth mentioning I a posing with a giant Cake dress.Yes, that is cake. Who Doesn't love a green wall? NEED. STAY TUNED, The finale of the Bridal Extravaganza was an AMAZING Asian Bridal show. I DIED. Great pics! 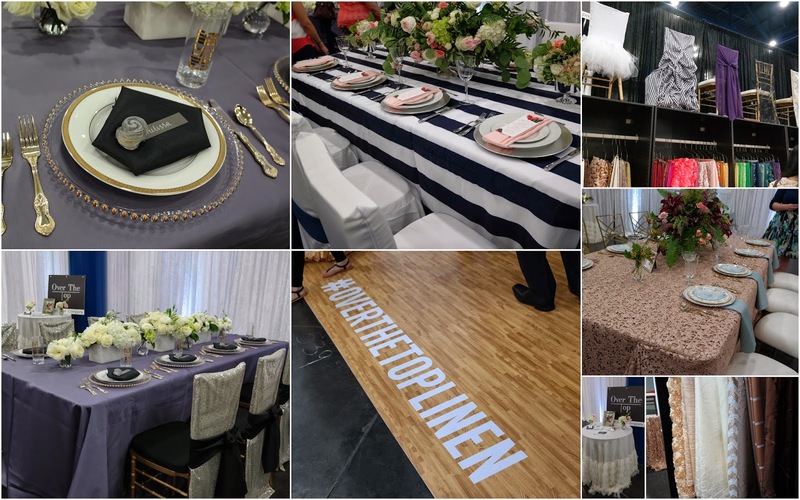 The linens are fabulous! Those place settings look expensive. I love all the pretty flowers. That wedding dress you posed with looks a touch too large for you but I love the photo. Those cake decorations look masterfully done. Almond cake sounds yummy. 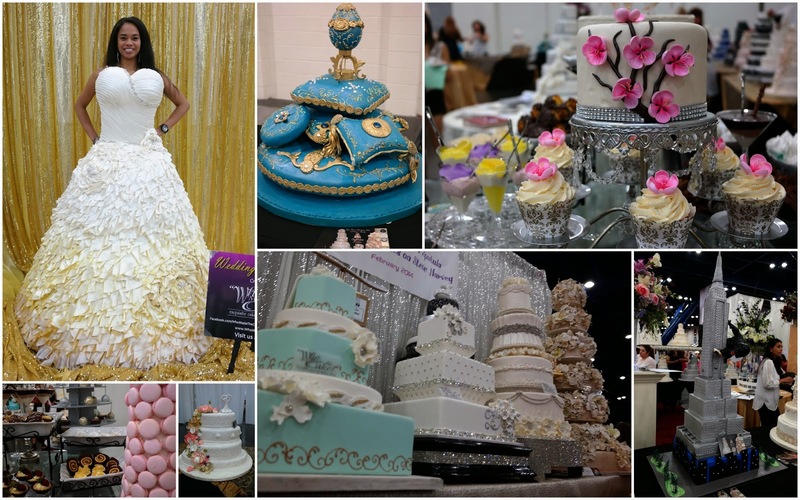 The wedding dress I posed with is a giant cake! Lol. Crazy huh?